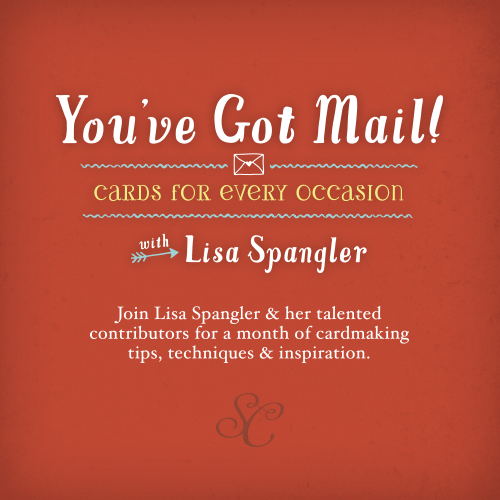 Simply Stamped: You've Got Mail! Class - Giveaway! We will share tips, techniques and inspiration on making cards for every occasion. "While supplies last, students will receive a 4x6in clear stamp set - the stamps will ship free to you, no matter where you are. Students will also receive printable accents and labels from Hello Forever, a digital brush set of the class stamps, and window card, tag and accent cuts from Kinsey Wilson. These will be available in the classroom on March 1st." Class begins March 1st. For more information on this Studio Calico class look here. Studio Calico had generously offered up a seat for me to giveaway to one of you. :) Just leave one comment on this blog post by Thursday, February 7th at midnight (PST). I've never taken an online class, maybe I'll try this one! I so want to win a spot in this class! I will be glad to win and follow online class from Paris! It would be wonderful to win this - it sounds like a fabulous class. I'd love to win this class, thanks for a chance! Oh so much talent in one classroom! This Aussie would love to join in. Looks like tons of fun and super inspirational! Can't wait! This class looks like a lot of fun! What an amazing group of designers, thanks for the chance to win! Sounds fantastic! Thanks for the chance! I would love to be in this class, Maile! Thanks for the chance! Looks so great. Thanks for the chance. Wow would love to win this class, looks like fun! Would love to win a spot in this class, cause it looks awesome! I would love to win a spot in this class! It looks great! I love Lisa Spangler, she is so creative. Lots of great contributors also. I am sure I could learn a lot from this talented group. Wow, the contributors for this class are an amazing group! Such a lot of talent. I'd love to win a place in this class. Thanks for giving us the chance to win. Awesome, awesome line-up! Can't wait! This looks like so much fun! Thanks for the chance to win! Maile, this class looks fabulous! Thanks for the chance to win a spot! 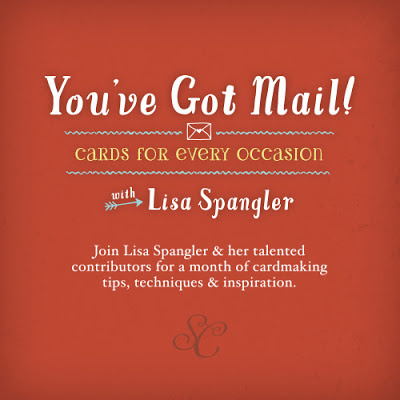 This is going to be a great class - I love Lisa's style & all my favorite card-makers are on that list of contributors! Thanks for the chance to win a spot. 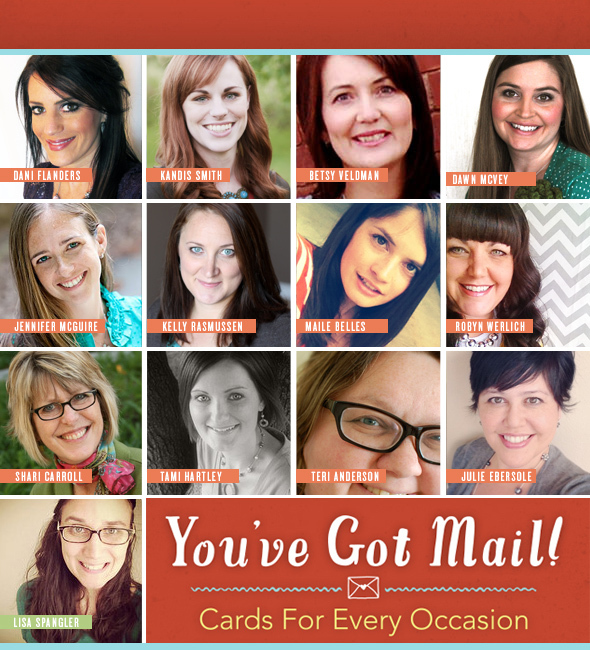 Looks like a great lineup of card makers - would love to win - thanks! I am so inspired your cards! This sounds like such a fun class! I need some inspiration, I'd love to win this class!! Thanks for online card classes for those like me or my mom who doesn't live in US but still enjoy the card making euphoria and follow blogs like yours Maile! Thanks for the opportunity. What an all star cast! I have never done an online class! I would love to do this!! Thanks for the chance. Love online card classes. Thanks so much for the chance to win!! Sounds like a great class with all great designers. Thanks for the chance to win. Sounds like amazing fun!! so many talented designers. Thanks for the contest. this class looks great! thanks for the chance! I would love to win a spot in this class. It would take my card making up to a whole new level I think. Thanks for the chance to win. Looks like this is going to be a great class! What a great group of teachers, thanks for a chance to win a spot. I love online classes. This one sounds like fun. Thanks for the chance to win a seat. Looks like a great class, thanks for the chance to win! This sounds like an amazing class! Thanks for the chance to win a seat! This class looks great! Love the stamp set! I would love to join the fun, hope to win! Pick me, pick me! I would love to win a spot in this class. Sounds like fun! Wow! The class looks great am so Happy we can join in here in England I would love the stamp set ! Card makers that I admire! Thanks so much for the chance to win! It will be a great class. Thank you for a chance to win. This class looks fantastic! Thank you for the chance to win! I'm just starting out with card making and this class would really help! Are you kidding me, who wouldn't want to win this opportunity, I know I would! Looks like a very talented line-up of creative gals and I'd love to be part of this. This class is going to be amazing!! Thanks so much for the chance to win a spot. Sounds like an awesome class - thanks for the chance to win a spot! The class looks wonderful! Thanks for the chance to win! You are my idol, with your fabulous clean cards. Thanks for a chance to win. Jan P.
Looks like a fantastic class! Sounds like a great class to take! Thank you for the chance to win a seat. What a great class - I would love to win a spot. I have been a fan of your cards and stamps for years and years. Thanks for the giveaway and happy anniversary with PTI! Oh, I would love to participate in an online class! Thanks for the chance to win! I'd love to join! Such a generous giveaway! Thanks for the chance to win! Looks like a fantastic class. I'd love to learn more card techniques! This class has me all sorts of excited and would LOVE a spot in the class. I well love to lean more with Lisa and the other amazing designers. Thanks for the chace to win. I LOVE that stamp set that with the card. And a great team for an online class! Sounds like a super FUN class to take! What a line-up! Wow! Wow what a great class...so much talent! Love all the talented ladies teaching this class! Thanks for the chance to join. I would love a spot! Thanks for the chance to win! This class looks great! All my favorite designers and some I'm not familiar with and look forward to seeing their work. With so many great designers, this class has to be fab! Oh what fun this will be...count me in...(I hope)!!! Love all of your work and would love a spot in this class! thanks for a chance! So many talented designers together..would love to win a spot. thanks for the chance! When I first saw the line-up of designers and you were one of them, I told myself this sounds like the perfect solution to my "stuck in a rut" cardmaking. Am hoping the message comes through to me sayng "you've got mail" and won a spot in this fabulous class. Thanks for the chance to win, Maile! Wow, just be really happy to win this fabulous class!!!! thanks for the opportunity. Love the work of all of the teachers in this class! I would love to win! It looks like so much fun. Thanks for the chance. Looks like an amazing class! Thanks so much for the chance to win! I've never done an online class before...but never say never. The best part about this online class are all these talented women! Thank you for the chance to win a spot! This class sounds like it would be very interesting...especially based on the contributors!!!! Thanks for the chance to win a spot! Looks like a great class with wonderfully talented teachers. Thanks for a chance to win a spot. What wonderful teachers in this class. Maile I really have enjoyed your blog and design ideas. This class intrigues me. I would love to win a spot. Sweeeeeeeeeeet giveaway! I'd love to win this class! Thanks! Wow what a line up you have here. An amazing group of teachers. I have always wanted to take an lonline class but been to scared to take the leap. THanks for a chance to win a spot. The instructors for this class are amazing! All my favorites. Thanks for the chance. God bless! Wow, this class looks great! I so need to get in this class! Hi Maile! I am so happy to see that you are contributing to the class! I love your style and I am sure that your cards will be as fabulous as ever! Love your style and thanks for the chance to win. sounds like a fabulous class! I would love to learn from such fab teachers! !